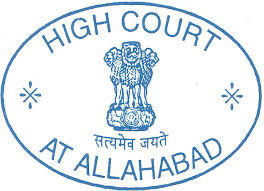 Allahabad High court Published the official recruitment notification for 02/Sub. Court/ Stenographer/ 2017 for group C category stenographer grade III posts. Notification is published by HC Allahabad for filling total 543 posts of Stenographer including deferent categories. More then 50 thousands 18- 40 year Graduates with Diploma or Certificate in Stenography along with CCC Certificate , applied for this posts. Written examination for the Post Code - 01 (Stenographer Grade -III) and Post Code - 03 (Driver Grade - IV) was held on 08.10.2017 at various examination center of all over uttar pradesh. The selection process shall included total 3 stages. Stage 1 written examination: Allahabad Ucch nyayalaya of uttar pradesh conducted this examination 8 October 2017 at various examination centers of 31 districts. There was one common offline written examination (objective type on OMR sheet) which consists of 100 objective type questions. Five candidates in order of merit of Stage-I (Written Examination) shall be shortlisted category-wise against each notified vacancy for appearing in Stage-II (Computer Type Test) and Stage-III (Stenography Test) tests at a later date. of Stenographer Gr.-III shall be held on the date to be notified after the declaration of the result of Stage-I (Written Examination). The candidates will be provided a passage of 300 words, for English Computer Type Test, to be typed within 10 minutes on computer. Mangal Font will be used for Hindi Typing on computer. Be given a text of 400 words (with a speed of 80 w.p.m.) in Shorthand dictated in 5 minutes by the dictator. The candidate would have to transcribe the dictated matter with the speed of 30 w.p.m. on computer within 30 minutes. Similarly, for English Stenography Test, the candidates will be given a text of 500 words (with a speed of 100 w.p.m.) in Shorthand dictated in 5 minutes by the dictator. The candidates would have to transcribe the dictated matter with the speed of 40 w.p.m. on computer within 30 minutes. (iv) Interview shall not be the part of selection process. (v) A combined merit list for the post of Stenographer Gr.-III will be prepared on the basis of marks obtained by the candidates in offline written examination, Hindi/English Computer Type Test and Stenography Test. Above cutoff marks is just published here for instant use only. When official cutoff marks will be published by HC Allahabad it will be also update here. There shall be no negative marking for wrong answers in Stage-I Written Examination. Upjob.in brought question paper which was asked in 8 October steno examination. Hope following question paper will be helpful in the preparation of your examination. Answer key and detailed question paper solution will be updated here very soon. You can subscribe your emails for receiving all set of all set of answer key.